One of the problems arising from the destruction/ development of former asylum sites is that none of these buildings have survived in a manner that preserves their heritage on-site. As much as Moorhaven Village (see previous post) is a well-preserved historic building that has been up-front and honest about its past use, it doesn’t have any historical interpretation on-site. However, in demonstrating that an asylum building is actually very well-suited to division into family homes, whilst preserving the integrity of the building, it has opened up the possibility of “Enabling Development”. English Heritage published a document on enabling development in 2008, advocating the sympathetic and appropriate development of historic buildings to ensure their survival, and if possible, to finance a heritage aspect. The ideal resolution for Whitchurch, perhaps, might be to take Moorhaven’s management company one step further and include an on-site museum, cared for under the umbrella of that company, whilst developing the bulk of the building into residential units. This would preserve the building and create a small, sustainable focal point for the history of the site, and a resource for the local community. Below, I have provided some summaries of existing museums of mental healthcare, with a view to illustrating what Whitchurch might consider in the future. Glenside, in Bristol, is housed in the former-chapel of the Glenside Asylum, and contains a vast number of historic objects that were used in the asylum. The museum is open once or twice a week, and is run exclusively by volunteers, the majority of which are former staff of the hospital. The asylum building itself remains empty (awaiting a developer), and unfortunately, the Glenside Volunteers have only a few years left on their lease of the chapel building from UWE. Their future is uncertain. Based in Wakefield on the site of the former West Riding Pauper Lunatic Asylum, built 1818. It was removed from its original site (latterly known as Stanley Royd Hospital) when it closed in 1995, and is no located at another local hospital. It holds a collection of objects and archives similar to Glenside’s, and includes an original and complete padded cell. Like Glenside, it is open once a week, and operated entirely by volunteers. Bethlem is perhaps more commonly known by its nickname, Bedlam. Situated in South London, the hospital remains an active mental healthcare facility, but operates a small museum and archive service as well. It holds historic objects and archives, as well as a large collection of artwork by former patients, such as Richard Dadd and Louis Wain. Bethlem is currently in the midst of raising funding to relocate from its small office and portacabin to a larger disused administration building on the same site. There are also a number of medical museums which address the history of mental health, but are not dedicated to it. The Science Museum (http://www.sciencemuseum.org.uk/) holds a large collection of items relating to the history of mental health and illness, including asylums, psychometric testing, and anthropomety, and is organising an exhibition around the theme of electricity in medicine in the near future. At present, the Wellcome Collection is currently hosting an exhibition of Outsider Art from Japan, entitled Souzou (http://www.wellcomecollection.org/). Slowly but surely, museums are starting to address this formerly-overlooked facet of the history of medicine. Whether or not a museum at Whitchurch would be a way to proceed with this aim remains to be seen, but it is a good point, well made. The history of mental health has been marginalised for a long time, something which is often echoed in contemporary attitudes to mental health and illness. It’s possible that in tacking “difficult” histories and facilitating discussion around them, a museum of mental health and illness might be able to make a positive contribution to contemporary issues of mental health and illness, as well as to its history. Sometimes, projects concerned with the conservation of historic buildings can come across as having a callous disregard for the present in favour of preserving the past, but I sincerely hope this is not the case here. As stated at the beginning of my dissertation, the preservation of Whitchurch and its history in the event of its closure is a legitimate concern, but in a wider context, it is a secondary concern. The most important issue regarding Whitchurch’s future is that patients and service users are provided for in the best and most effective way possible. I sincerely hope that the Cardiff and Vale NHS Trust will be able to address the future of mental healthcare in Cardiff as soon as possible, and that Whitchurch’s future, in whatever form, will be safeguarded. Laura Humphreys is currently studying for a PhD in Historical Geography at Queen Mary, University of London, in collaboration with the Geffrye Museum of the Home. She previously worked at the Science Museum, where she helped to re-organise the Psychology and Psychiatry Collection, and co-ordinated a photography project and temporary reconstruction of an early-twentieth century Padded Cell. She currently lives in a former “Private Madhouse” in West London, and is researching its history. 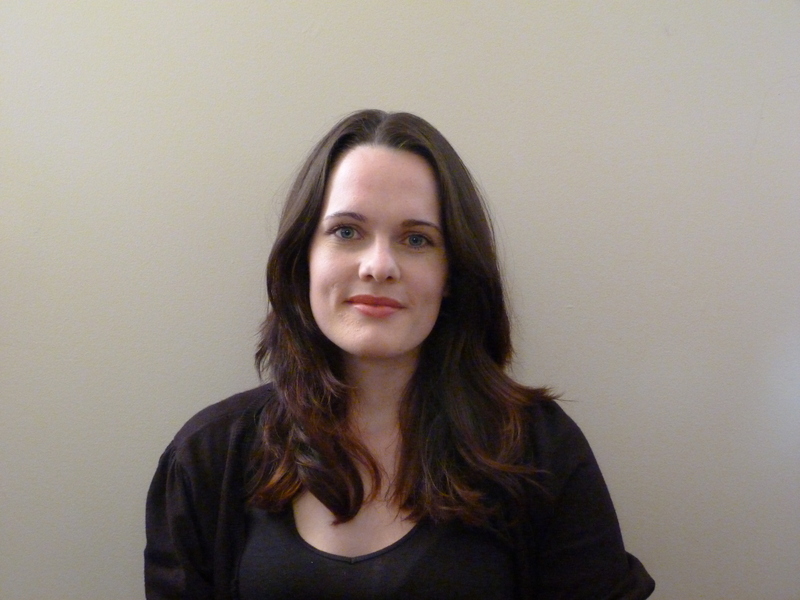 She can be contacted at: l.k.humphreys@qmul.ac.uk. Another huge thank you to Laura for providing me with this post. Historic asylum buildings have been developed extensively over the last few decades as they pass into obsolescence as medical facilities. Most are adapted for residential use. However, this can often be very dangerous for the historical integrity of a building. 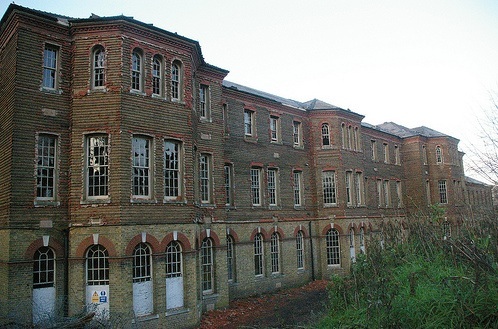 For example, Cane Hill and West Park Asylum, London, both suffered serious structural damage and vandalism whilst in the hands of developers, awaiting planning permission or building work. However, it is possible for historic asylums to be well-adapted for new purposes. A famous example would be the Imperial War Museum, which is housed in the former buildings of the Bethlem Royal Museum and Archives. Although the history of Bedlam is largely absent (although represented off-site at the Bethlem Royal Museum and Archives – www.bethlemheritage.org.uk), the building has been preserved well, and much of the fine architectural detail of the hospital is still present. It is far more common, however, for asylums to be converted for residential purposes. 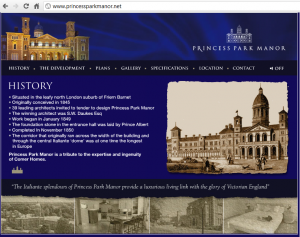 Some developers are keen to hide all traces of their development’s institutional history, such as this development by Comer Homes. Its new residents may well have no clue that their home was once Colney Hatch Lunatic Asylum, as Comer Homes were meticulous in not even hinting at the building’s origins. 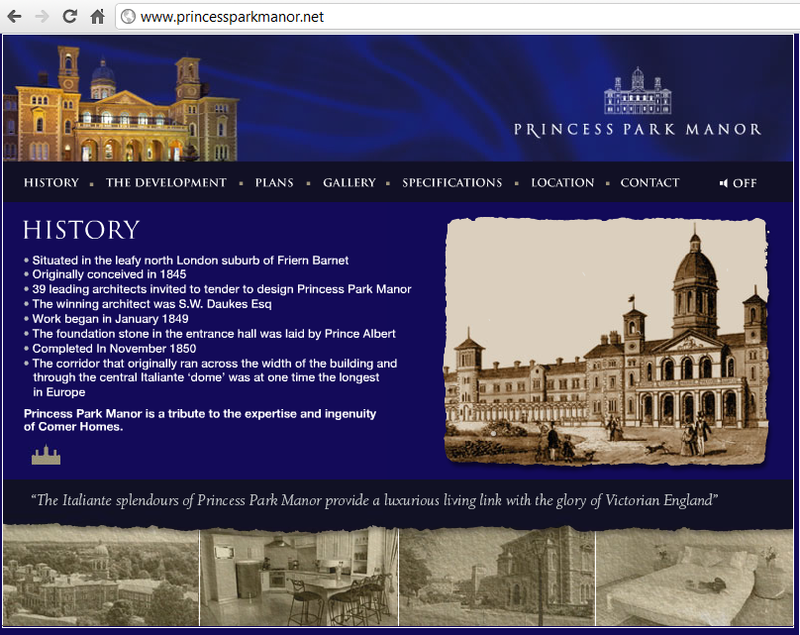 The building is now known as Princess Park Manor, and as you can see from their website at http://www.princessparkmanor.net/, even the history section is at great pains to avoid the topic of the hospital’s former use. In addition, much demolition and structural alteration has meant that internally, the building has been significantly altered. This kind of development could be considered unethical. Both the history and the internal structure of hospitals is lost to the marketing and market forces. However, the shell of the hospital, which is magnificent, is preserved, so some would argue that this is an acceptable sacrifice to preserve a hospital in part, and there is no viable alternative in most cases. 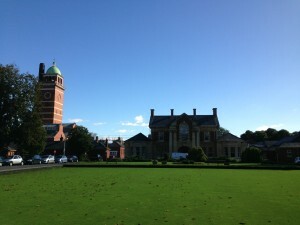 In rare cases, however, development has been sympathetic, and I will look at the most ethically and financially viable example of preserving a hospital as a residential development in my next post, when I want to look at some possibilities for the future of Whitchurch Hospital if it should close. Thank you to Laura for this post. One of the things that spurred on my research into Whitchurch ahead of its closure is the fate of the many listed asylums in the UK that have been horribly neglected. It’s a real shame to see these buildings come to harm, but no group of listed buildings has been so poorly treated as historic mental hospitals. Arson can be a huge problem, as it has been here at Cane Hill, Croydon, as is vandalism. Large sites spread over many acres are easy targets for thieves and vandals. The spike in prices of scrap metal have seen all kinds of buildings and structures pillaged for lead roofing, pipework and even memorial plaques. Large sites are often left with only one security guard to protect them, which simply isn’t enough to guarantee the safety of the building and its contents. In addition to these issues, the simple fact of leaving a Victorian or Edwardian building empty without regular maintenance can be the death knell for these structures; it is much easier to argue the case for demolition if a building is deemed unsafe, even though that may be through owner neglect. Trespassing, however, cannot be condemned entirely. 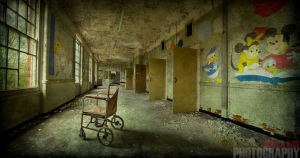 There is very little opportunity for the public to engage with the history of residential mental healthcare, and very often, people are drawn to abandoned asylums for this reason. These people are called ‘urban explorers’, and I spoke to them through internet forums for my research. They had very interesting perspectives on the history of these buildings, and how access to them is very important. Some argued that a museum in an asylum would discourage them from visiting, but most agreed that the reason that abandoned hospitals feature so prominently in urban exploration communities (every website I looked at had a whole section devoted to asylums) is that there is simply no other way to engage with them. One of the most impressive by-products of urban exploration is the photography of explorers. They take some fantastic photographs of these buildings, and in many cases have provided the best record of demolished, vandalised, and fire-damaged asylums you can find. Hopefully, Whitchurch will never have to worry about the issues of neglect or trespass, as the examples above have done. What it may need to be very concerned about, however, is the threat of unsympathetic development, which I will explain in Dangers facing Disused Asylums, Part 2. I have just finished my MA in Heritage Management at the Ironbridge Institute, a part of the University of Birmingham dedicated to museum and heritage studies, and it was during this course that I developed an interest in the history of mental health and illness, especially institutional care. Originally I wanted to look at how museums interpret former asylums for a short research project, but some cursory research revealed that they are criminally under-represented in museums, as is the history of mental health in general. I decided to save this subject and make it my thesis. I wanted my thesis to be useful, and to make something of a difference if possible. I did a lot of research into the current landscape of psychiatric buildings in the UK, and found them to be ill-protected, and treated in a manner that would never be tolerated for an historic house or other building. This is what lead me to Whitchurch – I wanted to see if the twin problems of a lack of museum provision and a lack of protection for a magnificent buildings could be planned for ahead of a building’s closure. I’m Cardiff born and bred, so it was not long before I thought of Whitchurch hospital – not only a magnificent building (exemplary in Wales and in a wider national context) but also home to a very forward-thinking approach to mental healthcare at the turn of the twentieth century. My thesis, “A Market for Madness?” primarily looked at the potential for Whitchurch to be preserved as a heritage site and the market potential of such a museum – I conducted several blind surveys online, and the results were incredibly interesting. My thesis would not have been possible without much help from Gwawr, for which I am very grateful. I’m really encouraged by the attitude of the Whitchurch Historical Society – enthusiasm for the history of a place is often the hardest thing to come by, and it is the only way psychiatric institutions are being preserved currently. I hope to do some more work with the WHHS, and I hope I can help in some small way. I am hoping to look more at Whitchurch in the near future – starting with a few more pieces for this blog on my research so far. Also, I’m currently working at the Science Museum in London, primarily with the psychological collections (which include a rulebook from Whitchurch’s early days) and I’m applying to Ironbridge for funding for a PhD starting in 2012, looking in much greater depth at what Museums need to do to bring their interpretation of mental health and illness up to speed, because nowhere near enough is being done yet.